Val Tirman has been running since 1952. 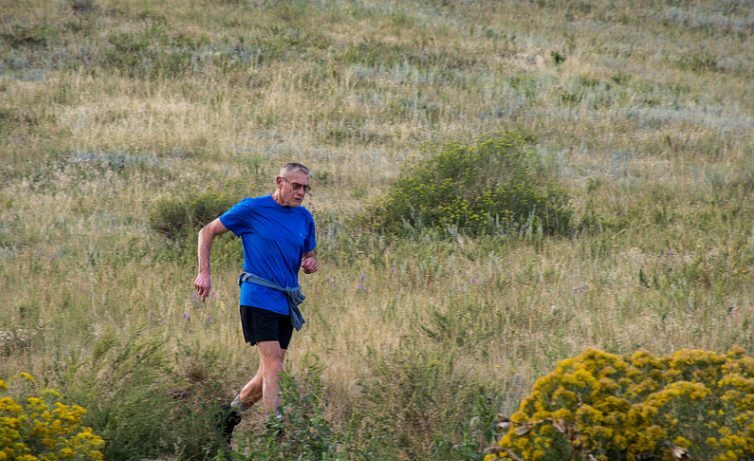 Thanks to cardiologists at UCHealth Memorial Hospital Central, he still running on the trail. A few months back, Ret. Air Force Lt. Col. Val Tirman attended his 60th high school reunion in southern Arizona. While there, he made his usual trek to Sabino Canyon, one of the glorious places in the great desert southwest. He breathes in the sights of the Saguaro cactus, the Sycamore trees and the prickly pear as he runs the trail along Sabino Creek, a 7.4-mile round-trip. “It’s almost a religious experience,’’ Tirman says of the run along the trail, built back in 1934 by the Work Progress Administration. Tirman and his buddies, all in their late 70s, are already making plans to celebrate their 80th birthdays in a couple of years. “I’m 78, and I’m still most people’s geezer,’’ he said. The self-effacing Tirman is not your average geezer. He runs four to five miles a day, mostly in his neighborhood park, where he marvels at the sounds of the birds and the rustling of the wind in the trees. He still teaches at Webster University. “I do the trails or the Stairmaster,’’ he said. “I try to get something done every day and I do some lifting and just keep going. I’ve been doing this forever, and I’m fortunate I don’t have any orthopedic problems. I’ve been doing this since 1952. The picture of health, Tirman hasn’t smoked a cigarette since 1969, and he hasn’t had a drink since 1981. He went to his longtime primary care physician, Dr. Scott Brassfield, who did an EKG, which showed that Tirman had severe atrial fibrillation, the most common type of arrhythmia – a problem with the rate or rhythm of the heartbeat. Dr. Brassfield referred his patient to cardiologists at UCHealth Heart Center – Memorial Hospital Central, and Tirman quickly met Drs. Russell Strader, David Beutler, Jaime Gonzalez and Jorge Davalos. In the beginning, the doctors advised Tirman of potential options: He may need a pacemaker, an LVAD pump and possibly a heart transplant. “With AFib, your heart just kind of sits there and flutters — it wasn’t really doing much,’’ Tirman said. Dr. Gonzalez performed a cardioversion – a procedure that aims to restore the heart to a normal rhythm – but the procedure did not correct Tirman’s arrhythmia. Val Tirman and his buddies are planning to meet for their 80th birthdays. Tirman stays in shape, running everyday along trails near his home in Colorado Springs. Having a team of cardiologists working to restore Tirman’s heart proved successful. Strader, for instance, worked to ensure that the heart pumps properly while Beutler worked on the plumbing and Gonzalez worked on the electrical system. “This team approach, to have cardiologists working in sync to provide optimal heart health, is what makes Memorial different, and why we have such great outcomes, like we did with Mr. Tirman,’’ Strader said. Dr. Davalos performed surgery, placing a stent in Tirman’s artery. That restored blood flow to his heart. If this didn’t work, Dr. Strader discussed the options of dealing with heart failure. A man of considerable accomplishment, Tirman is the co-founder of Productive Data Solutions Inc., serving as its Chief Technology Officer. Tirman’s credentials include the leadership and management of major system prototyping and implementation efforts for the Environmental Protection Agency, the Air Force Space Command and the Department of the Interior. 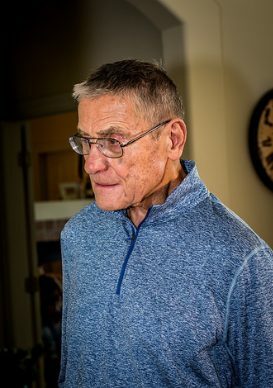 He taught psychology, computer science and the Russian language at the Air Force Academy for nine years. In the Air Force, he served as an engineer, communications officer, unit commander and associate professor at the AFA. He retired from the Air Force in 1982. Tirman said the AFib is easy to detect, especially while he is running because his capacity declines rapidly. “I’ve got a strange heart that goes all over the place,’’ he says. Earlier this year, Tirman’s AFib arose again, and Dr. Gonzalez prescribed Tikosyn, a drug that helps keep the heart beating normally. “It was a good fix,’’ he said. Tirman said he is thankful that he has a second chance and can continue to do the things he loves to do. He plans to meet his buddies for their 80th birthdays and he’ll keep running, as he has nearly every day since 1952. Thank God for small favors. Read an original UCHealth Today story on Val Tirman here.